Mechanical engineering plays a leading role in the German economy. It is for this reason that bolting systems, as well as the bolting joints (found on installations, machines, etc.) need to meet the highest quality standards. When using Plarad bolting systems, the user can be assured to employ products whose innovation, quality and reliability cannot be beat. 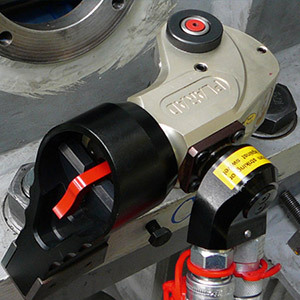 The German Institution for Accident Insurance and Prevention for raw materials and chemical industry considers the purchase of Plarad bolting systems to be a measure that qualifies for a bonus and refunds the buyer (subject to certain conditions) 20% of the purchase price charged for one of Plarad's pneumatic or electric nut runners. For detailed information on the bonus system established by the BG RCI, log on to www.bgrci.de. Whether you look for standard products or solutions that are tailored to meet your individual requirements – Plarad is the right brand for you!